Guaranteed 2 week delivery with your content! 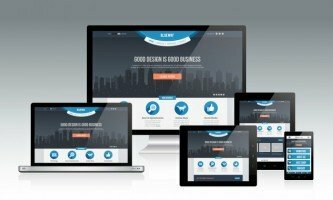 Would you like a brand new website in just two weeks? Of course you would, but you didn’t think it was possible, right? Guess what? Yes, it really is possible! Why would you spend your valuable time trying to figure it all out yourself when you can hire me to design and build your WordPress website? And don’t worry, I won’t leave you in the lurch and walk away when it’s done. I will teach you how to use and maintain it, putting you in control of your online content. You will learn how to update your site, create new content and install new widgets. I specialise in fully responsive WordPress websites for small business and I can guarantee that your website will be ready in two weeks, if you bring your own content and graphics. When I build your website, my foremost concern is YOUR clients. What do they want, what are they looking for, how will they find and use your website. I’m not interested in forcing the latest design trends on you, or in being cool, I just want to build a beautiful, functional website that is easy to use for you and your clients. Because each client and each website is different, I have created several packages for you to choose from, or, I can create a custom quote just for you, after we have an initial chat, which you can set up on the Contact page. Everyone has different needs and will require a different level of support from me. I contacted Dorothy to have my website developed, and I am so happy with the results. I liked her approach of interviewing me before developing the content. This gave her a good idea of my personality, which she was then able reflect in my website. As I am a software developer myself, I can confidently say that technically she is strong and knows WordPress very well. Thanks Dorothy for a job well done! My websites are solid, polished and reliable. I won’t sell you bells and whistles you don’t need and I will always explain what each part of your website does. Your confidence in your website and in your skills are what matters most. You can choose from one of my website packages or request a custom quote to meet your needs. Dorothy undertook the process of migrating my blog to a self-hosted WordPress site. She worked with confidence, efficiency and professionalism, provided a clear budget, and completed the works in a very timely manner. She understood what I needed and delivered beautiful results. Her training and follow up service was also much appreciated. Thank you Dorothy! If you’re ready to work on your brand new website or would like to talk to me about revamping your current website, please complete the questionnaire on the next page to give me an idea of your needs. I am also available for emergency WordPress support by the hour. Can’t get your Opt-In to work? Is a widget broken? Are your pictures taking too long to load? Can’t find the right plug-in for the job? Contact me either by phone or email and I will help you with your emergency, generally within 24 hours.